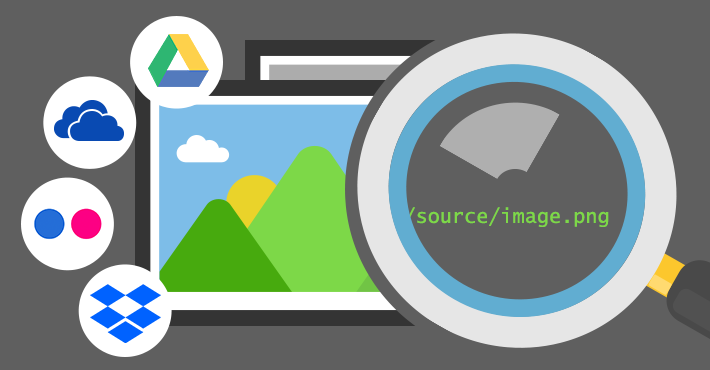 You might wonder how direct image links or direct URLs are related to email signatures. If you can use an embedded image, you do not have to worry about any links. However, linked images have some upsides (for example, they don’t increase the email size. What is more, there are situations in which linked images are the only available option. To add a linked image, you need a direct URL to it. This entry was posted in Tips and tagged direct link, direct url, email signature, email signature generator, linked image on February 25, 2019 by Kamil Glaser. This article shows how to create and set up client-side email signatures in Outlook 2019. If you have an older version of Outlook, see how to create signatures in Outlook 2016/2013/2010. This entry was posted in Microsoft Outlook 2019, Tips and tagged email signatures, Outlook 2019, Outlook 2019 signature on January 9, 2019 by Milena Szyrwiel. This article shows a step-by-step guide on how to create an Exchange 2019 central email signature using a native method. Although the native method is not free of limitations, it should help organizations meet basic requirements regarding corporate email signature management. Note: In the last section of the article, you can find how to overcome the limitations of native email signatures. This entry was posted in Microsoft Exchange Server 2019, Tips and tagged email disclaimer, email signature guidelines, email signatures, Exchange 2019, Exchange 2019 signatures on December 3, 2018 by Milena Szyrwiel. An email signature is an important part of communication. Especially when you are an artist, for example a photographer, and you want as many people as possible to see your works. This simple element can make a lasting impression and lets you stand out from the crowd. And that’s not all – an email signature provides an easy way to promote yourself and encourage your recipients to see your work. At the same time, while composing your signature, it is easy to miss important information and lose valuable opportunities. This guide will help you make sure you design a perfect signature for a photographer. For steps on how to create a perfect, general-purpose email signature, see the perfect email signature anatomy. This entry was posted in Design, Tips and tagged photographers, signature design on August 14, 2018 by Kamil Glaser. Nowadays it is quite hard to find at least one smartphone or tablet which is not equipped with a high-resolution display or, in the case of Apple’s devices, the so-called “Retina display”. Also, more and more laptops are getting these onboard. The real power of a high-resolution screen is that it displays the same area as a conventional screen, but uses up to three times more pixels to do so. This approach gives ultimate sharpness and depth to everything you can see on your display. The same applies to email signatures. You may have already noticed that images with low pixel density appear a bit blurry on high-resolution displays. And if we zoom in a little bit more – they just look really bad. This entry was posted in Google Apps and Gmail, iPhone and tagged email signature, high resolution, mobile device, retina on August 10, 2018 by Adam the 32-bit Aardvark. 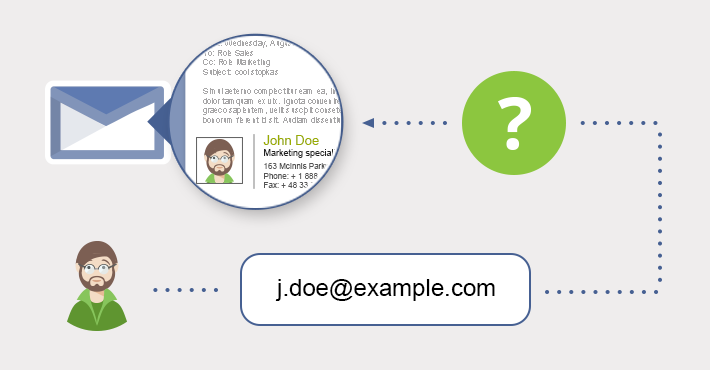 Email address in email signatures – to use it, or not? There has been an ongoing discussion on the matter. “Why should I add my email address to my signature?” is a recurrent question, whenever email signatures are discussed. Below, we state a few reasons why you should consider adding the email address to your email signatures. Having an email address in email signatures might seem redundant. After all, when you send an email, your recipients would click the reply button, rather than look for the email address in the signature. However, there are some valid reasons to add that email address to your footers. This entry was posted in Design, Tips and tagged email address, email signature on April 18, 2018 by Kamil Glaser. With a new year, we welcome new trends in email signature design. In 2018, to make appealing and professional signatures, we still look for simplicity and visual harmony. However, you will also get some concepts in signature design that become more and more popular like one-click surveys. Let’s then see some spicy examples of the best email signature design for 2018. Simplicity is still the queen. It makes the signature look classic and professional. You should not make the signature overloaded with contact details. Or with graphical elements. These, in fact, can turn the signature into a real disaster if not used moderately. The simplicity would be especially appreciated in business correspondence. Let me present some examples of signatures that stick to the rule “the less, the better”. This email signature is the best example of what really simply signature should look like. Only basic contact details, no images or photos. The perfect choice for those who appreciate minimalism. This entry was posted in Design, Tips and tagged best signatures 2018, design 2018, email signature, signature design on April 17, 2018 by Milena Szyrwiel. What fonts are best for email signatures? Every element of a signature block plays an important role. Contact details, user’s photo, images, hyperlinks, social media icons or font need to go together to make the signature look professional. One of the basic elements that can significantly impact the signature’s readability and visual perception is an improper font. That is why, in this article, I will discuss the best fonts for email signatures. 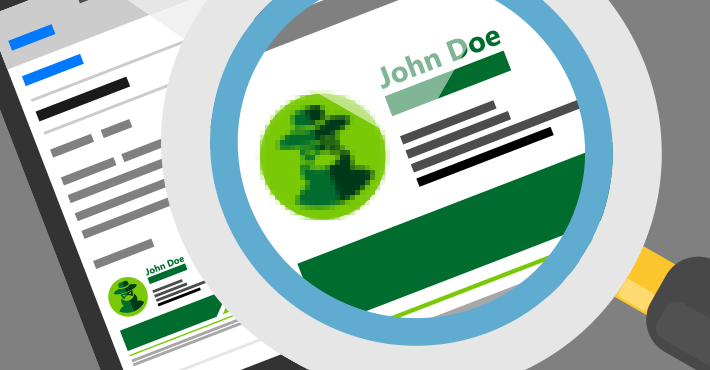 To choose the best font for email signatures, you need to look for one of the safe fonts. By “safe fonts”, I mean fonts that are available on most devices. No matter if this is PC, Mac, iPhone, iPad or Android – you can be pretty sure that the font you use in your signature is also installed on the recipients’ side. This will guarantee that the signature will look just the way you see it on your screen. 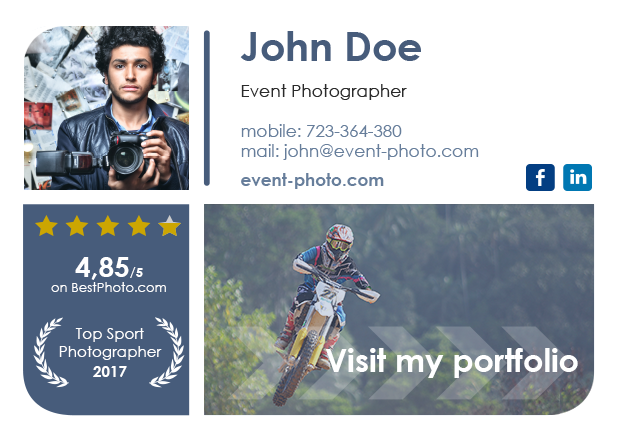 This entry was posted in Design, Tips and tagged best email signature font, best fonts, email signatures on February 2, 2018 by Milena Szyrwiel. At first glance, email signatures may not seem that important, especially if you compare them with other things going on in your company. But if you delve deeper into this, you will find out that email signatures play a significant role when it comes to marketing, branding or maintaining a good relationship with your customers. What is more, disclaimers added to these email signatures may also prevent you from legal issues. Keep in mind that even the best-written email may not do its job if you are not confident enough about the company you are dealing with, so gaining a client’s trust should be a priority for each employee in your company. 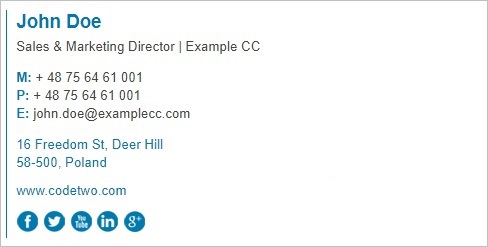 Certainly, a fine-looking email signature that contains useful information is a nice try to make a good impression. And if you combine a fine-looking signature with an attractive marketing banner, the results may surpass your expectations. This entry was posted in Design, Tips and tagged centralized solution, css, email signature, html, style on January 31, 2018 by Adam the 32-bit Aardvark.